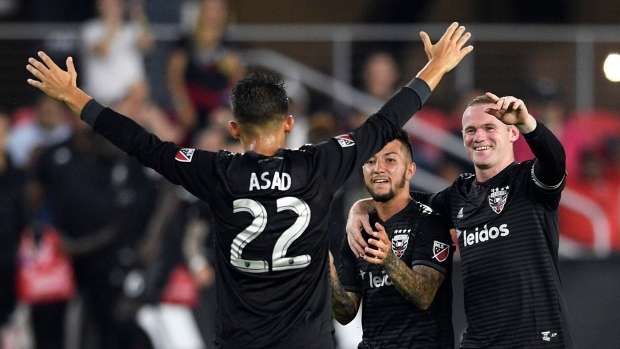 WASHINGTON — Russell Canouse scored in the 86th minute and D.C. United moved into playoff position with a 1-0 victory over Western Conference-leading FC Dallas on Saturday. United (12-11-8) won its third in a row, improved its unbeaten streak to seven and moved into sixth place in the East, one point ahead of the Montreal Impact with three matches left to play. The Impact have two games remaining. Canouse's initial shot following Wayne Rooney's free kick hit off crossbar. The rebound fell to Steve Birnbaum who kicked it into the defence where it popped up for Canouse to head home. FC Dallas (16-7-9) had its five-game unbeaten streak snapped but stayed one point ahead of Los Angeles FC in the West.